On December 9, 2014, half a year after the parliamentary elections, the government in Kosovo was appointed with Isa Mustafa as the Prime Minister. However, the state’s independence is still based on assistance from the outside partners, especially the United States and the EU. Although the International Civil Office (ICO) and the International Civil Representative (ICR) completed their activities in Kosovo in 2012, UNMIK (the UN mission), EULEX (the civilian EU mission), and KFOR (NATO’s military operation) are all still present in the country. Their objective is to oversee the maintenance of internal security, strengthen the country’s power and administration, and assist in the implementation of the necessary reforms. The parliamentary elections were held in Kosovo on June 8, 2014. For the third time in a row the Democratic Party of Kosovo (Kosovian: Demokratik e Kosovës Party, PDK) with the current Prime Minister, Hashim Thaçi, claimed victory. Winning a total of 37 seats in the 120-seat parliament, it was forced to seek potential coalition partners. Endeavouring not to allow Thaçi to once again become the Prime Minister, the three opposition parties – the Democratic League of Kosovo (Albanian: Demokratik Lidhja e Kosovës, LDK), the Alliance for the Future of Kosovo (Alb. : Aleanca për Ardhmërinë e Kosovës, AAK), and the Initiative for Kosovo (Alb. : Nisma për Kosovë, NISMA) – entered into an agreement. The Self-determination party (Alb. : Vetëvendosje) also granted them its support. A total of four groups gathered 62 seats. Despite this, it was impossible to choose a Speaker of the Parliament, mainly due to the ambiguous constitutional provisions and rulings of the Constitutional Court. The United States and the EU helped to overcome the deadlock in negotiations, thanks to which on December 9, 2014, the Kosovo parliament voted in favour of adopting a new government. Mustafa’s party, the LDK, decided to enter into a coalition with the PDK, which enabled Thaçi to become the Deputy Prime Minister and the Foreign Minister. In addition to the two largest parties, in accordance with constitutional provisions, the government’s nineteen ministries also included politicians representing the interests of particular groups of minorities, such as the Serbian List (Serbian: Srpska list, SL) represented by Aleksandar Jablanović (Minister of Returns and Communities) and Ljubomir Marić (Minister of Administration and Local Government). The third representative of the Serbian community living in Kosovo, who became the Deputy Prime Minister, was Branimir Stojanović (former Mayor of Gračanica). The Turkish and Bosnian minorities in the new government are represented, respectively, by Mahir Yağcilar (Minister of Public Administration) and Rasim Demiri (Minister without Portfolio). It should be emphasized that for the first time since Kosovo’s declaration of independence, the Serbian List, supported by the government in Belgrade, decided to collaborate with Kosovo’s authorities. The new Prime Minister in his policy statement listed the following priorities: gaining UN membership, as well as joining other international organizations, improving relations with Serbia, as well as the inter-ethnic relationships within the state. Serbian politicians, who entered into the grand coalition, were to work towards the fulfilment of this last point. However, as early as January 2015, as a result of the pressure from the protesters in Pristina, Jablanović was dismissed. The demonstrators demanded the resignation of the politician when he called the Albanians “savages” following their attempts to block the Serbs on their pilgrimage to the shrine of Đakovica (Alb. : Gjakova) during the Christmas period. Even Jablanović’s public apology did not help alleviate the tense situation. Protests organised by Kosovan Albanians were probably the biggest since Kosovo’s declaration of independence. Albin Kurti, the leader of the largest opposition party, Vetëvendosje, played a key role in the organization of the riots. He was also supported by other parties (the AAK and NISMA) and NGOs. An ultimatum was issued to the government, threatening further protests should Jablonović not be removed from office. The unfavourable economic situation, which strongly affects the level of discontent among the population of Kosovo, has lasted for seven years now. According to data published by Kosovo’s Statistical Office, the unemployment rate in Kosovo is approximately 35 per cent, and among young people (15-24) as high as 55 per cent. In addition, based on data published by the World Bank, Kosovo’s GDP per capita is 3,815 USD: the lowest in the region (compare with Croatia – 13,529 USD; Montenegro – 7,125 USD; Serbia – 5,935 USD; Macedonia – 4,850 USD; Albania 4,652 USD). 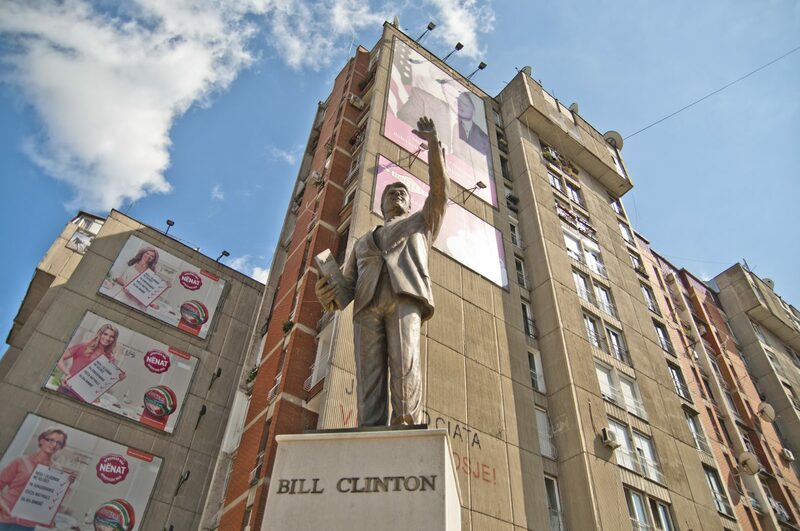 The authorities in Pristina have been unable to carry out deep economic reforms. Nor have they been able to do much about the rampant corruption in Kosovo. According to the CPI (Corruption Perception Index), published in 2014 by Transparency International, the country occupies 110th place out of a possible 175. Together with Albania, which achieved the same result, this is the worst performance among the countries in the region (compare with Macedonia – 64th place; Montenegro – 76th; Serbia – 78th; Bosnia and Herzegovina – 80th). Due to the bad situation in the country and the lack of real action taken by the government to improve it, many of its residents decide to migrate to EU countries. As is clear from the information provided by the Hungarian authorities, in the period from September 2014 to January 2015, approximately 25,000 people from Kosovo crossed the border illegally. By contrast, in January 2015 alone Kosovar Albanians issued 3,630 such requests in Germany, which is almost 1,400 more compared to January last year. It should be added that Kosovo is the only country in the Balkans that has not signed the Stabilisation and Association Agreement, which is the first step towards achieving EU membership. However, Johannes Hahn, Commissioner for European Neighbourhood Policy and Enlargement Negotiations, announced that the agreement would be signed with Kosovo later this year. Here the authorities in Pristina see their opportunity to resolve some of the problems associated with the illegal emigration of its citizens. The prolonged process of forming a new government in Kosovo contributed to the slowdown in discussions on the Belgrade-Pristina dialogue. Finally, after almost a yearlong break, on February 9, 2015, it was resumed. The EU High Representative Federica Mogherini watched over its course. Both sides reached an agreement on determining the ethnic composition of the Bench (14 Albanians and 11 Serbs, and the presiding judge will be Serbian) and the prosecutorial composition (9 prosecutors of every nationality) in Mitrovica, which is a step towards integration of courts operating in northern Kosovo that does not recognize the Pristina authorities. During the talks the Serbian side also raised the topic of a mine in Trepcza (Alb. : Trepça, Serbian: Trepča), located in the north of Kosovo. It constituted one of the main reasons for the outbreak of protests directed against the Kosovo authorities by the end of January 2015. Prime Minister Mustafa said earlier that his government would take control of the indebted conglomerate in Trepča. Kosovo’s parliament was to pass it to the Kosovo Privatization Agency to transform the mine into state-owned companies. However, after a fierce backlash from Belgrade, it withdrew. Until today, the status of the mine has not been regulated (since 1999 it had been under the UN supervision and it will not change until it is privatised). At the time of Yugoslavia it used to be the largest mining complex, mining silver ore, zinc and lead. Currently, its value is approximately 10 billion euros, but in order to restore the former glory of the company, it is necessary to carry out restructuring and revitalization. The authorities in Pristina do not want Trepcza to be one of the topics of dialogue in Brussels, because they believe it is Kosovo’s internal matter. Undoubtedly, the company is one of the few chances for the Kosovar economy to be able to develop. Becoming its main pillar it could result in the reduction of unemployment and contribute to the state budget. Formation of a government in Kosovo with a new prime minister means the continuation of the policy pursued by the authorities in Pristina since 2008. A party of a former Prime Minister managed to stay in power and keep control of key ministries thanks to entering into a coalition with the LDK. The entrance of the Serbian List (SL) to the government coalition does not automatically translate into the improvement of inter-ethnic relations. It is worth noting that only two months after the establishment of the new government its leader was dismissed, and the party, as a sign of protest, suspended the operation of government institutions. This kind of behaviour of Serbian politicians negatively affects the Serbian-Kosovar relations. Kosovo is still in the process of shaping its political system and building state institutions. The new government must take more decisive action to deal with corruption, organized crime, nepotism, and the politicisation of institutions. Finding solutions to these problems would have a positive impact on the economic situation of the country. It is also important to prepare a detailed plan, which would counteract the increase in the number of illegal emigration of citizens to the EU. Kosovo’s young society is undoubtedly an opportunity to accelerate the development of the country. The authorities in Pristina must, however, improve the system of higher education, and create conditions for the development of young people. Otherwise, the outflow of the younger generation will deepen the economic crisis of the state. The EU should give a clearer signal that it supports Kosovo’s European aspirations. A positive gesture would be signing the Stabilisation and Association Agreement in 2015, and taking measures to liberalise the visa regime. Such a gesture would be appreciated by Albanians, who could enjoy easier contact with relatives living in the EU (currently approx. 700-800 thousand people, mainly in Germany and Austria). Such a policy, however, would bring positive results only on condition that the Kosovar public is made aware of the negative consequences of illegal emigration and is encouraged to build its own state. Given the rise in discontent among Kosovar Albanians against the international presence in their country, the EU should prepare a new plan for Kosovo, which would envisage a faster transfer of individual competencies, mainly executive ones to the authorities in Pristina. Reducing its presence (especially in terms of the number of officials working there), the EU should continue to monitor the development of the rule of law in Kosovo, watch over the talks between Kosovo and Serbia, and influence faster implementation of obligations adopted by both sides. Protracted negotiations between Belgrade and Pristina will negatively affect the mood of the people of Kosovo, who more and more strongly demand real independence for their country. Poland could take action to strengthen the third sector in Kosovo, including passing on the experience of Polish NGOs. This would be possible, for example, through the organization of seminars and internships for employees of the third sector from Kosovo, or through site visits. It is necessary to highlight the potential of the country’s young people, who, disappointed with their country’s stagnation, more and more often decide to emigrate. The outflow of young people will deepen the poor state of Kosovo’s economy, which in the long run, could lead to the outbreak of another conflict. By means of preventive measures, it is necessary to assist in activating the young generation.